Playing Bingo at holiday parties has become a fun tradition for our family, and I had a lot of fun putting this Easter Bingo set together. With the game being mostly images, it's easy for kids of all ages to play. So go grab some Easter candy (Mini Eggs, anyone?! ), print out the Bingo sets, and get playing! Just like my Halloween Bingo, Thanksgiving Bingo, and Christmas Bingo, I'm sure this version will be a hit to play at a school or family Easter party. Since my daughter isn't in school, we've been having a wonderful time playing as a homeschool activity. It has been a great way to learn new Easter and Spring-themed vocabulary and to practice matching. 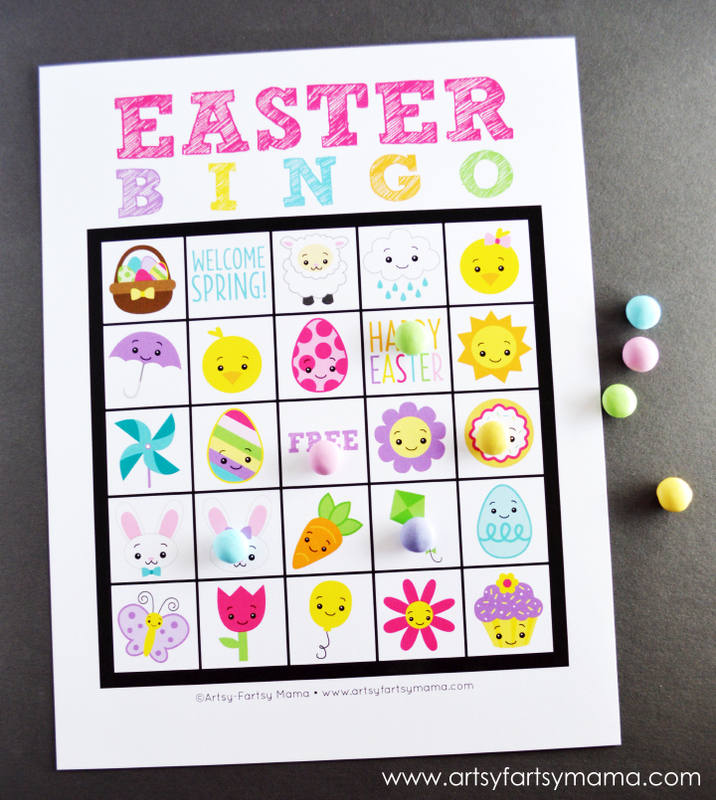 Print out the Blank Easter Bingo Set, which comes with a blank card (with the "free" space already added), all 24 Bingo pieces, and the calling cards. 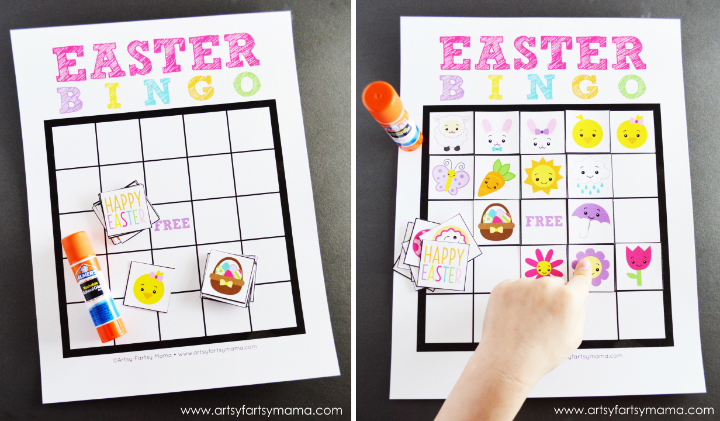 Print out the cards on cardstock, and the Bingo pieces on cardstock or regular copy paper. My kids absolutely love your BINGO cards. We also use them for "dont eat Pete" but the kids say "don't eat Rudolph" or "don't eat the Easter Bunny". Thanks for always putting these out. Oh this is DARLING! This would be such a fun project for my daughter and I to do together. This is on the list! Pinning! 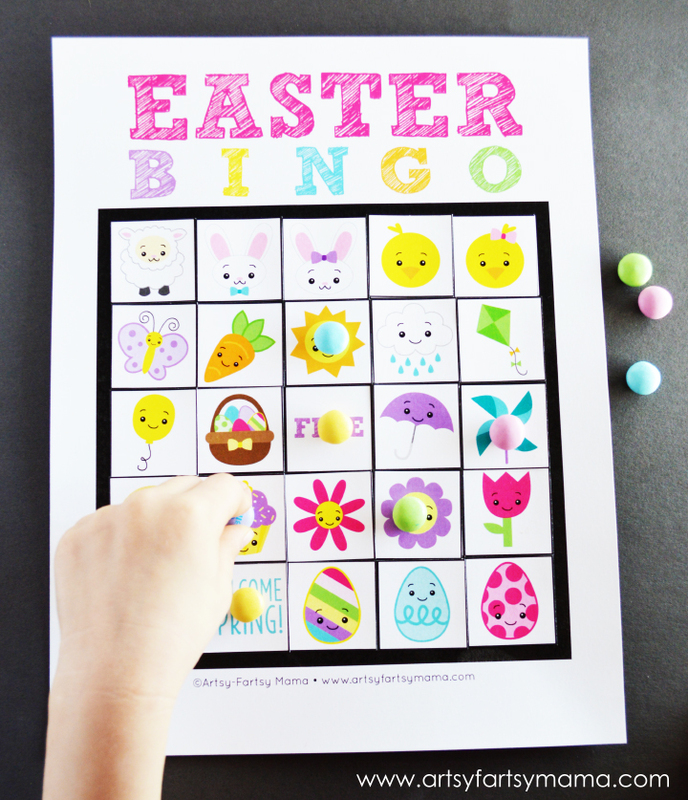 I love your BINGO cards and other printables. This is so cute! This is so so cute. I have been looking for some fun car activities for Dax for our road trip. I think I might print, laminate, and add some magnets to this! Thanks Lindsay! I LOVE your Bingo boards! Thank you for the darling Easter one! These are so fun! I really think I need to print these off for my kids! They would LOVE them! Your little images are darling! Cutest ones I've seen! So so cute! Just like all of your other bingo cards! You are so talented! I will be playing this with my girls for sure. Thanks! This is so wonderful! The little ones at our weekly playgroup will love this. Thank you for sharing! Very cute! Love that kids can create their own sheets. Thank you.